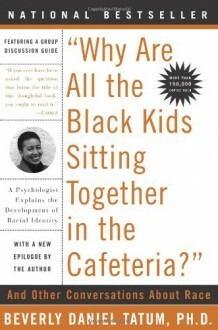 Walk into any racially mixed high school and you will see black youth seated together in the cafeteria. Of course, it's not just the black kids sitting together-the white, Latino, Asian Pacific, and, in some regions, American Indian youth are clustered in their own groups, too. The same phenomenon can be observed in college dining halls, faculty lounges, and corporate cafeterias. What is going on here? Is this self-segregation a problem we should try to fix, or a coping strategy we should support? How can we get past our reluctance to talk about racial issues to even discuss it? And what about all the other questions we and our children have about race? Beverly Daniel Tatum, a renowned authority on the psychology of racism, asserts that we do not know how to talk about our racial differences: Whites are afraid of using the wrong words and being perceived as "racist" while parents of color are afraid of exposing their children to painful racial realities too soon. Using real-life examples and the latest research, Tatum presents strong evidence that straight talk about our racial identities-whatever they may be-is essential if we are serious about facilitating communication across racial and ethnic divides. We have waited far too long to begin our conversations about race. This remarkable book, infused with great wisdom and humanity, has already helped hundreds of thousands of readers figure out where to start. Definitely an interesting read. Read it for a student development class, and I think it was extremely helpful.